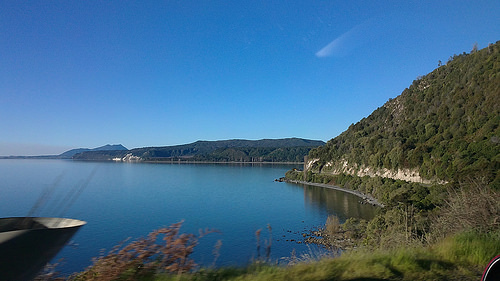 Nowadays, exploring Great Lake Taupo is a must-do for travellers. The lake front has a great vibe during the day and at night, its magic. There’s an abundance of beautiful cafes and stylish boutiques in the CBD. Its the ideal base for exploring the area’s geothermal attractions. 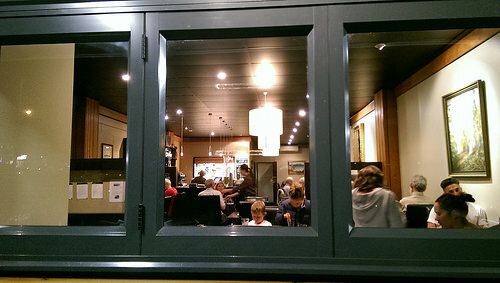 The first night we dined a the Lotus Thai restaurant at 137 Tongariro Street. It was absolutely chocka by 7.oopm and the staff coped well. The decor of the restaurant is typically quaint and for me, that’s part of the appeal. At the end of the meal, hot flannels were delivered to our table. 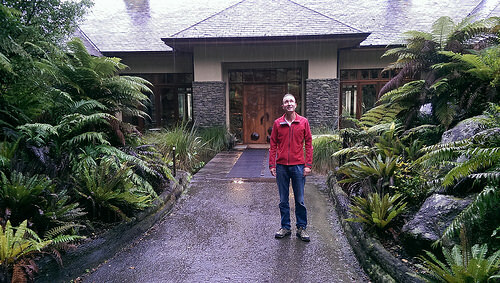 The next day we travelled 78 kms to Treetops Lodge Estate outside of Rotorua. I love this part of our work. The lodge is even more impressive since our last visit some years ago. 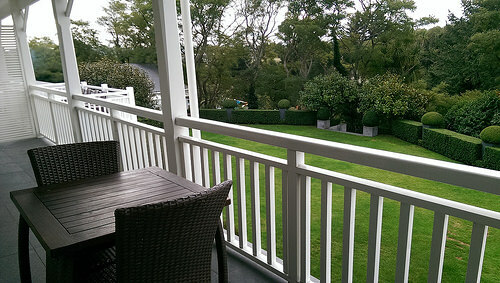 This massive estate is often shrouded in mist and the surrounding native bush is beautiful, even on a wet day. Tonight we dined at The Bistro at 17 Tamamutu Street Taupo, another good decision. The couple at the table next to us were revisiting from the previous night. What better compliment is that! I love supporting family owned businesses where the owner/chef cooks are innovative and cook with love. As I stepped out into a clear night, I managed a last look at the warmth within.